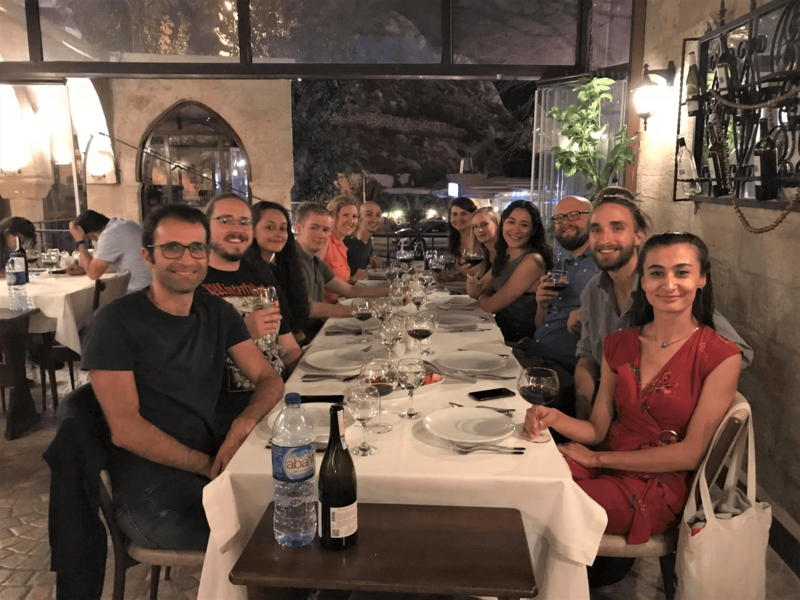 This year after the mid-season party the Boncuklu team had the opportunity to take a well-deserved break for the beginning of the Kurban Bayram holiday. 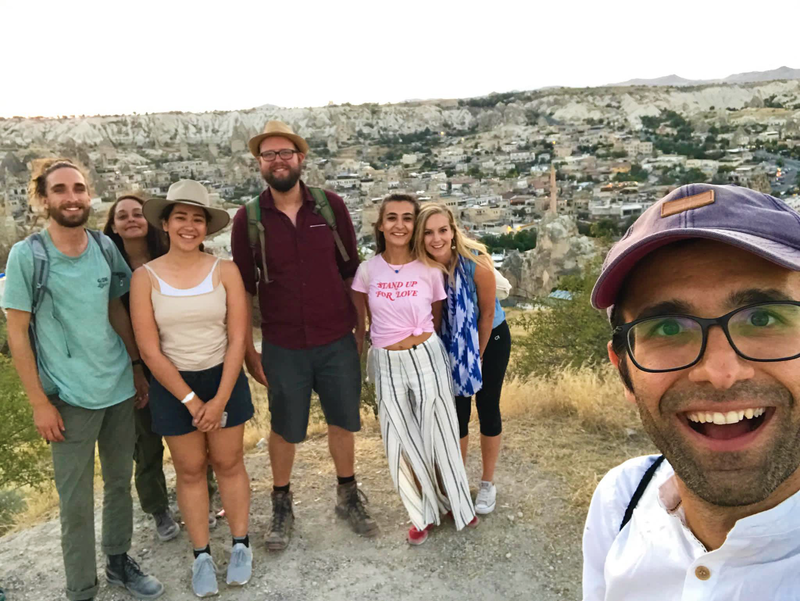 This year thirteen of our number traveled to Cappadocia (three hours north-east of Boncuklu) for a fun-filled weekend of sight-seeing, museum-hunting, hiking, eating, wine-tasting, and pamper sessions at the Turkish Baths. 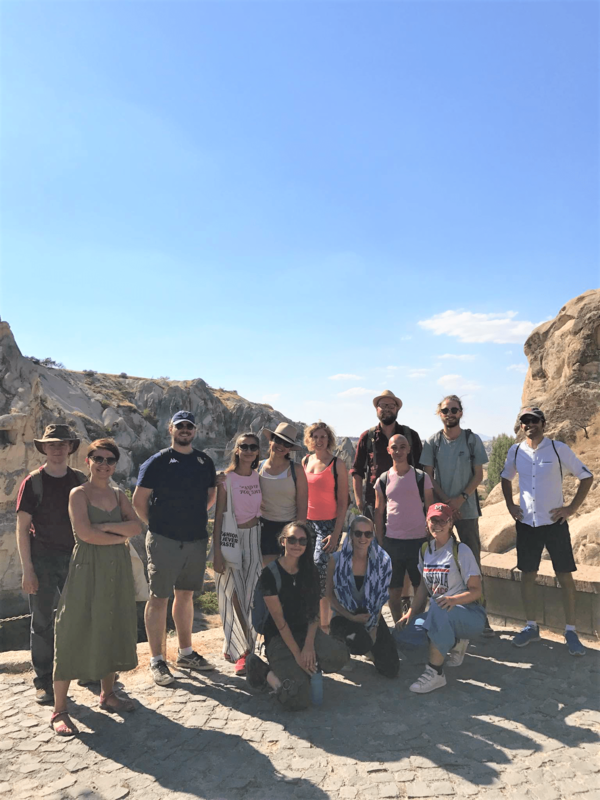 Group photo at the Open Air Museum in Göreme. 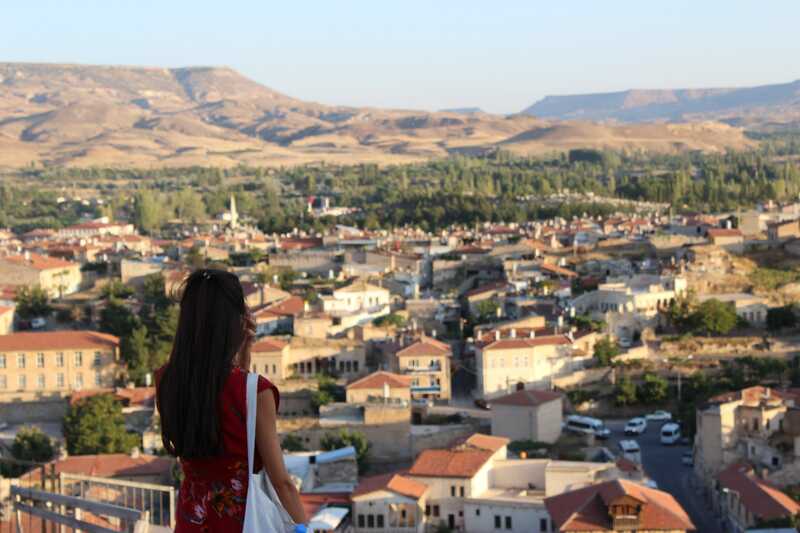 Taking in the view of Ürgüp. 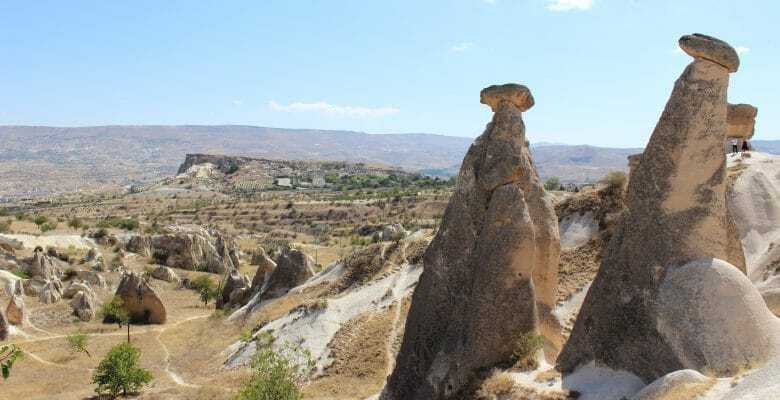 Post-hike photo at the end of the Zemi Valley Trail, overlooking Göreme. Fun amongst the fairy chimneys.